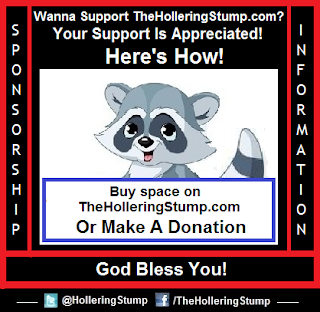 TheHolleringStump.com: Agape. Such A Love As This! Agape. Such A Love As This! Do you know how to love someone? Do you really know? We all know human, or natural love but natural love falls short for that which you and I really need to sustain us through this life. 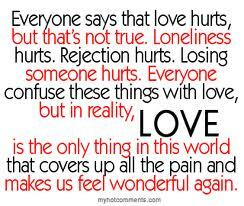 Natural love seems to need categorized by most humans. Love for spouse. Love for children. Love of family. Love of country. There is a spiritual love that trumps all these and sadly to say many (if not most!) of those that really desire this agape love don't know what it truly is. Many souls have spent and lived a lifetime without experiencing it. Why? Because they haven't gone to the source of this agape to find it. Many thought they have "ascended" to it but will be surprised to find out sooner or later they came up short. Why? Because they didn't get to the source. The source is God. The one true God that created this physical universe. Many have gotten angry at the source for not revealing it to them but is that God's fault? No! There are gods a-many in this life and if you go to the wrong source you will never find it. Well... how many "sources" are there they you may ask. The answer is, how many religions are there? For every religion there is a different "god'. That goes for denominations also. For every doctrine, for every man made form of worship there is a "god". The phrase, "All religions lead to the same god" is accurate in a sense, but all man-made forms of worship lead people to the wrong god! There is but one true God, the father of man's savior Jesus Christ. If you want answers in life such as knowing the purpose of your life, being able to see exactly why things go so wrong in people's lives, if you want genuine, spiritual love manifested in your life you must go to the source of life. That source, that which has been made available to man for thousands of years for the source of Truth is what the One and True God gave man. 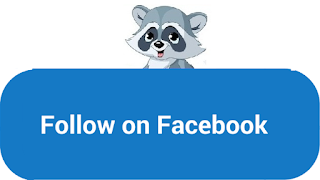 His Word through an audible voice first to Adam and Eve after the fall, His Word, written in the stars for the generations up to and into the law, then the written Word that started out as the Old Testament law. He gave us His Word in concretion by way of the life of His Son, Jesus Christ and!... what we know today as "The Holy Bible". Although you can buy many versions of The Holy Bible, you have the basic tool to getting to Truth. It takes effort, serious, diligent effort... to get to the rightly divided Word of God. The Bible is the tool to getting to genuine, spiritual truth. Those words "the outward act or form" is all you get in your attempt to base your relationship with "God" on your terms. 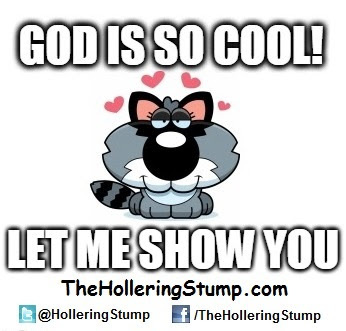 God is not impressed by what you think your relationship with Him should be. By basing your fellowship with Him by your religion you cut yourself off from the promised blessings. You have no excuse for ignorance. If you have the heart required, you will approach God's Word with an attitude that you don't know it all and then... with personal study and someone qualified to guide you, Truth will be unveiled to you. It does take time. A heart hardened by wrong doctrine becomes darkened and is worthless as far as God is concerned. "Because that when they knew God, they glorified Him not as God, neither were thankful; but became vain in their imaginations, and their foolish heart was darkened. Professing themselves to be wise, they became fools." - Romans 1:21 & 22 You want to know God? You want to know genuine, spiritual love? Then approach God's Word with humility. Get the religious dogma out of your head and let God's Word speak for itself! 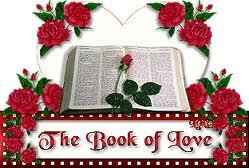 The scriptures speak of human love and differentiates this from spiritual love. They are two different words in the Greek (from which the Church Epistles of The Holy Bible were translated). The root word for spiritual love is agape. The root word for human, or natural (brotherly) love is phileo. Phileo is where we get the word philanthropy (love of man) from. 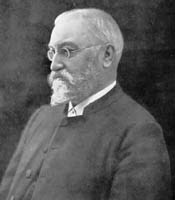 Dr. Ethelbert W. Bullinger's (December 15, 1837 – June 6, 1913, pictured here) A Critical Lexicon And Concordance To The English And Greek New Testament gives the distinction between the two in his definition of agape. (non edited) "Agape, love. [A word not found in the profane writers, nor in Philo and Josephus, nor in Acts, Mark, and James. It is unknown to writers outside of the N.T. Philanthropia philanthropy was the highest word used by the Greeks, which is very different thing to agape and even far lower than philadelphia. Philanthropia in its full display was only giving to him who was entitled to it his full rights.] Agape denotes the love which springs from admiration and veneration, and which chooses its object with decision of will and devotes a self-denying and compassionate devotion to it. Love in its fullest conceivable form." Or as I try to explain it.... Phileo is human. It is natural. It is conditional. You love me and I'll love you. Agape is God. It is supernatural. It is unconditional. I love you because I love. This love can be thought as "the love of and for God in the mind renewed to the Truth of the scriptures and brought forth into manifestation." Now... Let's take a look at some verses. First up. Natural love. The first useage of phileo is found in Matthew 6:5 And when thou prayest, thou shalt not be as the hypocrites are: for they love (phileo) to pray standing in the synagogues and in the corners of the streets, that they may be seen of men. Verily I say unto you, They have their reward. Later on in his ministry, in a public meeting where Jesus was teaching, after shutting up some scribes trying to trip him up, this word is recorded in Luke 20:45 - 47 Then in the audience of all the people He said unto His disciples, "Beware of the scribes, which desire to walk in long robes, and love (phileo) greetings in the markets, and the highest seats in the synagogues, and the chief rooms at feasts; Which devour widows' houses, and for a shew make long prayers: the same shall receive greater damnation." Romans 12:9 & 10 Let love (agape) be without dissimulation (not feigning). Abhor that which is evil; cleave to that which is good. Be kindly affectioned one to another with brotherly love (philadelphia); in honour preferring one another. Romans is written to believers today. If you are a believer... this pertains to you! Your "preferring" goes to God's Household. You prefer fellow believers. Now a few verses with agape... First useage is found in Matthew 24:12 where Jesus is teaching about future events. And because iniquity shall abound, the love (agape) of many shall wax cold. John 3:16 For God so loved (agapao, verb form) the world, that He gave His only begotten Son, that whosoever believeth in Him should not perish, but have everlasting life. Romans 5:8 - 10 But God commendeth His love (agape) toward us, in that, while we were yet sinners, Christ died for us. Much more then, being now justified by His blood, we shall be saved from wrath though Him. For, if, when we were enemies, we were reconciled to God by the death of His Son, much more, being reconciled, we shall be saved by His life. We don't deserve to be saved, to be made whole... 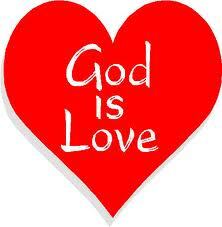 but!, that is God's love. Some of us can blow it half a dozen times before lunch! You've heard God is love? God is agape love. Sound good? It should! It's mans' "natural" environment! God has done what it took to make this available to man after the fall. It cost Him his only son. It's up to those of us that are called to His Household to learn of the details of our calling, claim it and bring it into manifestation. This includes experiencing genuine love in giving and receiving in our daily lives. Check this out! On the very night Jesus was taken into custody and before he and his disciples entered into the garden where the Romans took him, he poured his heart out concerning this "new" love. John 15:9 - 19 "As the Father hath loved (agapao) Me, so have I loved (agape) you: If (if! if! if!) ye keep My commandments, ye shall (absolutely) abide in My love (agape); even as I have kept My father's commandments, and abide in his love (agape). These things have I spoken unto you, that My joy might remain in you, and that your joy may be full. This is My commandment, That ye love (agapao) one another, as I have loved (agapao) you. Greater love (agape) hath no man than this, that a man lay down his life for his friends. Ye are my friends, if ye do whatsoever I command you. Henceforth I call you not servants (bondservant, slave) for the servant knoweth not what his lord doeth but I have called you friends; for all things that I have heard of My Father I have made known unto you. Ye have not chosen Me, but I have chosen you, and ordained you, that ye should go and bring forth fruit, and that your fruit should remain; that whatsoever ye shall ask of the Father in My name, He may give it you. These things I command you, that ye love (agape) one another. If the world hate you, ye know that it hated Me before it hated you. If ye were of the world, the world would love (phileo) his own; but because ye are not of the world, but I have chosen you out of the world, therefore the world hateth you. Think this may be a clue as to why things go wrong at times?! 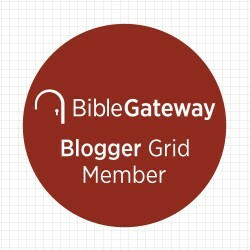 To energize this agape love one must renew their thinking according to God's Word. Hence, "If you keep my commandments." You can't keep them if you don't know them. You can't know them unless you learn them. You can't learn them if you don't study them. Got it?! Did you know... as far as God's concerned... you can make mistakes, blow situations and for those of us with a loving attitude... those mistakes will not be charged to us?! (After all, it was the first mistake made by man that put this separation we suffer from between God and man.) II Peter 4:8 And above all things have fervent (hot) charity (agape) among yourselves: for charity (agape) shall (absolutely) cover the multitude of sins. So... my fellow disciples... don't beat yourselves up when ya blow it. Energize that love you have! Renew your thinking to the Truth! 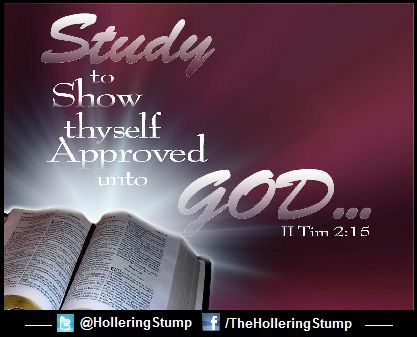 (Renewing your mind to Truth is what "repent" means) Strengthen yourself with the Truth of what God's Word reveals. Better yourself as a son or daughter of God mimicking your Father. 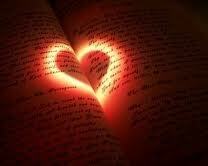 Love covers a multitude of blowing its! Not to change the subject but I'm gonna anyways... kind'a... I am convinced "Christian" marriages fail for the most part... because husbands aren't following the instructions given them concerning how to love their wives. The scriptures dealing with this are in Ephesians and Phillippians. "Husbands, love your wives..." Ya wanna guess what greek word love is here?! AGAPE! And one more thing. When it comes to loving your neighbor as yourself? That doesn't mean you have to love anyone who doesn't strive to better themselves through the scriptures. Remember. Israel in those days was a nation of believers. They, tribe by tribe, family by family, friend by friend worked to keep themselves and those they knew on the Truth that had been revealed to them. In our cultures today, there is not one nation that I'm aware of that can be considered a nation of believers. If your neighbors are as most people in the world, you are not bound to love them as you love yourself. A scribe poses the question, "Which is the first commandment of all?" Mark 12:29 - And Jesus answered him, "The first of all the commandments is, 'Hear, O Israel: The Lord our God is one Lord: And thou shalt love (agape) the Lord thy God with all thy heart, and with all thy soul, and with all thy mind, and with all the strength:' this is the first commandment. And the second is like, namely this, 'Though shalt love (agape) thy neighbour (your fellow believer) as thyself.' There is none other commandment greater than these." God's people can give their natural love to those around them that choose not to believe or are not believers as yet. You don't fully fellowship your life to them. (Unless you help them to "open their eyes" of course! And then... they still need to prove themselves.) Jesus Christ brought the whole law of the Old Testament down to 2 laws as he was preparing believers for the greatness of what they were about to receive... this Grace Administration we are in now. The commandment to us, God's people today is to just... LOVE!